The fiber and essential vitamins in them encourage the proper digestion of fats in your intestine. This is a key for reducing fat accumulation. They also keep lipids from being retained in your blood, help lower cholesterol and prevent other conditions that can affect your quality of life. 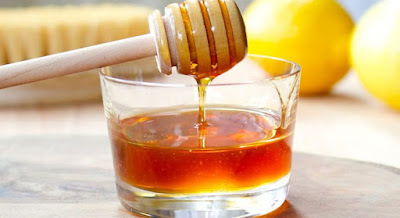 Both vinegar and honey have natural agents that improve your metabolism. This will increase calorie-burning and help you lose weight. Moderate consumption assists in the expulsion of toxins built up in your blood flow, thus allowing blood to flow freely. This controls any excessive inflammation in your body’s tissues. Along the way, it also triggers a reduction in retained fluid that’s also associated with cellulite. It’s worth mentioning that this recipe is naturally alkaline. In other words, once it enters your body, it helps regulate your blood pH. This, in turn, helps prevent illnesses. Stimulating the detoxification of you body and strengthening your immune system. However ,it’s important to clarify that this is not a miracle treatment for cellulite. After all, your results will depend on other parts of your lifestyle like your diet, physical activity, and external treatments. This means that to get optimal results, you’ll need to thoroughly modify your lifestyle. You’ll need to focus your efforts on fighting the fat accumulation that goes along with this condition. In addition, it’s important to mention that the vinegar and honey should be 100% organic. While you may find more economic options, organic is the only way to take advantage of all of their properties. Now, let’s take a look at how to make it. Mix the two tablespoons of the apple cider vinegar into the cup of warm water and sweeten with the tablespoon of honey. Once well-mixed, it’s ready to consume. There aren’t health risks to taking small amounts of apple cider vinegar. However, never exceed the recommended dose in this recipe. Too much of the acid can trigger indigestion, diarrhea, and excessive production of gastric acids. If you feel abdominal pain or inflammation after taking it, stop the treatment. It’s not a good idea to take apple cider vinegar undiluted because it can damage your tooth enamel and affect the protective mucus lining your stomach.